The Night Before Christmas by Nikolai Gogol. 1832. French title: La Nuit de Noël, translated into French by Eugénie Tchernosvitow. I wanted to read a Christmas story and I found The Night Before Christmas on my shelves. It must have been there for a while since the price is still in francs. It’s a tale from the book Evenings on a Farm Near Dikanka. Actually someone does unhook the moon that night. The devil does. He holds a grudge against the blacksmith because he painted him so truthfully on the church’s walls that he now lacks candidates for hell. The devil wants to play havoc with these villagers’ plans and switches off the natural light bestowed by the moon. He hopes that Tchoub will stay at home preventing Vakoula to spend his evening with his beloved Oksana. But does anything go according to plan when devil and humans meddle with each other’s affairs? It’ a folk tale which mixes traditional themes (witches, devil, dancing stars…), life in a Ukrainian village with its shrews, its drunkards and its local elite (mayor, sexton, rich artisans). I could picture people gathering around a fire, listening to these stories passed along from one generation to the other, enriched with new details by each storyteller. It’s a testimony of the oral culture that will progressively disappear. It’s also a nice picture of Christmas traditions in rural Ukraine. Young people used to walk from house to house singing koliadkis (Christmas carols) under the people’s windows and were rewarded with food. They gather at the end of the evening to show their prizes. 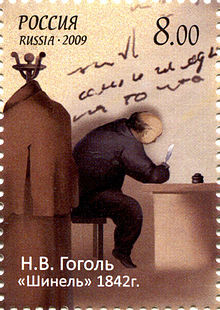 But Gogol stretches the tale up to a farce. The scene where the shrews argue reminded me of the song Hécatombe by Georges Brassens. So funny. (It’s worth reading the lyrics of that song if you can read French) He also takes advantage of the tale to scratch the rich and powerful with little remarks and acid comparisons. He exposes ridicules and vanities. As I had already noticed in The Nose, the text includes play-on-words, especially about devil-related expressions. It was a funny and lovely read. It left me with the image of paintings by Bruegel. I know, it’s not at all the same century but it sounded such an immutable picture of rural life that it came to my mind anyway. Collegiate Assessor KOVALEV also awoke early that morning. And when he had done so he made the “B-r-rh!” with his lips which he always did when he had been asleep — he himself could not have said why. Then he stretched, reached for a small mirror on the table nearby, and set himself to inspect a pimple which had broken out on his nose the night before. But, to his unbounded astonishment, there was only a flat patch on his face where the nose should have been! Greatly alarmed, he got some water, washed, and rubbed his eyes hard with the towel. Yes, the nose indeed was gone! He prodded the spot with a hand — pinched himself to make sure that he was not still asleep. But no; he was not still sleeping. Then he leapt from the bed, and shook himself. No nose! It is a terrible drama for him who is seeking social ascension. He needs to find a good position as a civil servant, he wants to socialize with the high society and he hopes to marry Alexandra Potdochina’s daughter. All this cannot be achieved without a nose! Even loss of hands or feet would have been better, for a man without a nose is the devil knows what — a bird, but not a bird, a citizen, but not a citizen, a thing just to be thrown out of window. It would have been better, too, to have had my nose cut off in action, or in a duel, or through my own act: whereas here is the nose gone with nothing to show for it — uselessly — for not a groat’s profit! The poor man will try anything to catch up with his nose. Once he meets his Nose on the street – a most funny encounter and chases him. He goes to a newspaper to advert and have someone bring his nose back. He tries to find a reason to this disappearance and ends up thinking Alexandra Potdochina is responsible for his loss. It’s surreal, absurd and really funny. 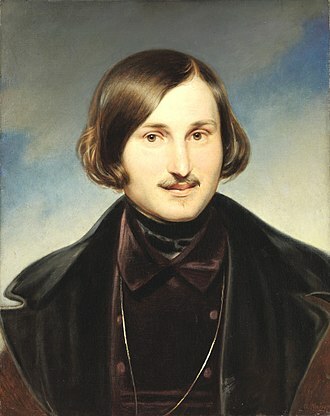 I’ve read that Gogol’s aim was to point out all the rules we need to abide by to be part of some social circles. Here, in this society, it would have been admitted to have only one leg but not to have a nose, unless you can be proud of the way you lost it. It questions our identity and how our physical appearance matters when it comes to relationships. The need to look “normal” is powerful and poor Kovalev carries a handkerchief to hide the place where his nose should be, in a vain attempt to keep nosy people away. Gogol isn’t really introspective here, Kovalev has no real internal turmoil and he doesn’t linger on the effects this event have on his inner mind. He emphasizes more on the social consequences and the risk to be an outsider. The French translation includes play-on-words related to noses and other parts of the face. For example: The Nose says Je n’y comprends goutte and it was translated into English as I cannot apprehend your meaning, which is the same meaning, except that in French, avoir la goutte au nez means to have a runny nose. Well, in French, it’s rather witty. A moment later, when Alexandra Potdochina writes him a letter, the French version says “Vous me parlez d’une histoire de nez. 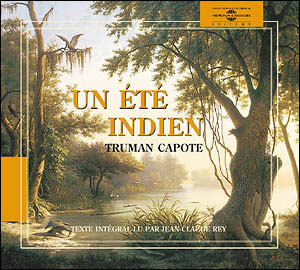 Si vous entendez par là que vous avez essuyé un pied de nez, en d’autres termes que vous avez essuyé un refus de ma part, laissez-moi vous dire que c’est précisément le contraire.” and the English version is “You speak, too, of a nose. If that means that I seem to you to have desired to leave you with a nose and nothing else, that is to say, to return you a direct refusal of my daughter’s hand, I am astonished at your words, for, as you cannot but be aware, my inclination is quite otherwise.” Does that mean that the original is also full of nose-related play-on-words? 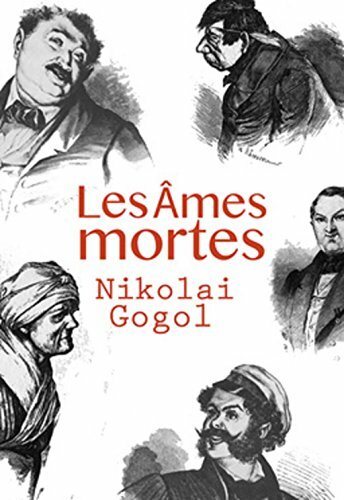 I heard that Russian grammar can be bent – much more than the French one – and I can only assume that Gogol’s prose is witty too. I also enjoyed the comic effects such as the advertisements clerk offering some snuff to Kovalev to comfort him: the poor man has no nose for it! Or the moment when Kovalev tries to fix his nose back in the middle of his face. Btw, in French we say, “ça se voit comme le nez au milieu de la figure”, literally, “it’s visible like a nose in the middle of a face”, ie it’s obvious. This story is a gold mine for play-on-words. I really enjoyed this short-story and I’m glad I read it as it is indeed useful to understand the Roth. PS: I have a question. When Kovalev meets Madame Potdochina and his daughter on the street, he think je n’épouserai pas la gamine… si ce n’est de la main gauche, which means he won’t marry the daughter but might have an affair with her. The English translation says “I’m not going to marry the daughter, though. All this is just — par amour, allow me.” Does “par amour” have a negative connotation and actually means an affair? If yes, fortunately I didn’t read the English version, I would have thought it was a love marriage i.e., the exact opposite.